Home / Scottish Brick and Tile Industry / Wellwood Brick Co. Works, Dunfermline, Fife. Wellwood Brick Co. Works, Dunfermline, Fife. 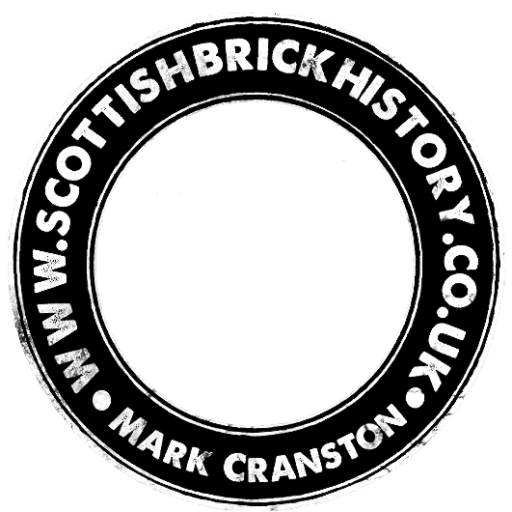 06/11/1937 – The Scotsman – New Scottish Companies – The Wellwood Brick Company Limited, Wellwood by Dunfermline. Private company to carry on the business of the manufacture of bricks and fireclay goods. Capital £15,000 in £1 shares. Subscribers James Stewart, J.D.Stewart, Charles Stewart and William Stewart all building contractors, Phoenix Lane, Dunfermline. 09/03/1840 – Dundee Courier – Man wanted to drive a Chaseside Fordson shovel, permanent employment. State experience and wages required to Wellwood Brick Company, Wellwood, Dunfermline. 07/02/1941 – Dundee Courier – Excavator for sale – 1/3 cube Chaseside excavator, new August 1940 – can be seen at work any day between the hours of 8 am and 4.30 pm. 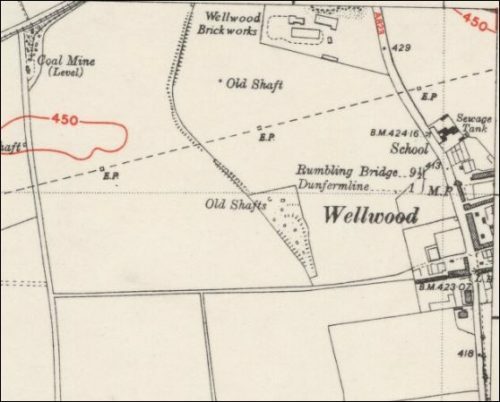 Wellwood Brick Company Ltd, Wellwood, Dunfermline. 10/01/1942 – Yorkshire Evening Post – Burner for Hoffman kiln wanted at once in Fife, Scotland. Free house and good wage to competent man. 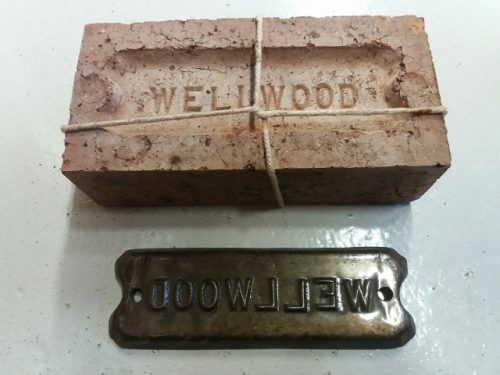 Apply Wellwood Brick Company Ltd, Wellwood, Dunfermline. 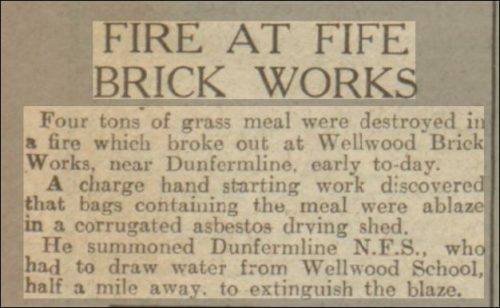 Below – 06/09/1946 – Dundee Evening Telegraph – Fire at Wellwood brick works. 30/05/1955 – Dundee Courier – Man to train in brick machinery maintenance. Some engineering experience an advantage. Good conditions and wages based on a 5 day week. Small house available. Also a man for burnt kiln. 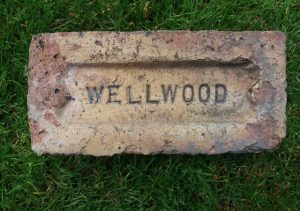 Apply Wellwood Brick Company Ltd, Wellwood, Dunfermline. Below – a brick and stamp photographed at the NMS Collections Centre, Edinburgh. Complete with original brass brickmark stamp plate. Next Article Balgonie Colliery Brickworks, Markinch, Glenrothes, Fife.